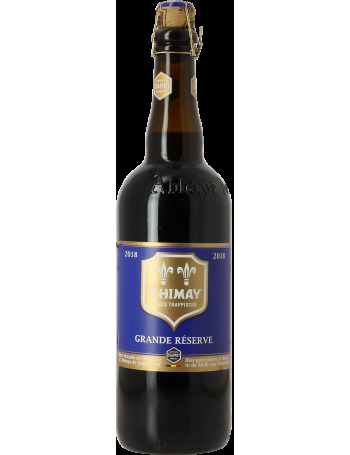 Chimay Grande Reserve 2018 is a larger than life version of classic Chimay Blue. Pouring deep brown with a fine, light tan head, the nose is a mix of black tea and jasmine, with a balanced woody quality. The palate is also woody, with fresh bread, roasted malt, coffee, and cognac traits. This well-rounded, characterful, powerful brew is at its best up two two years after bottling and can be cellared for up to five years.